It's an age old saying, and everyone understands the premise behind it. But, it's a proverb that's rarely put into practice. Particularly for those of us of the newer generations - Gen Y and onwards. I’m a Gen Y – at the upper end of the age group, but Gen Y nevertheless. And I’m going to talk today about how being a Gen Y influences the way I buy books, and why this is important to authors and publishers today. Particularly those who write for the adult age group. This year, Gen Y’s will be aged between 18 and 34 years of age. This means Gen Y’s are all now adults, and thus are taking up a significant share of the adult book purchasing population. Which means attracting our attention is becoming increasingly important, or you’re going to miss out on a piece of the market. Gen Y’s are the first of the NOW generation. We have short attention spans. If something doesn’t hold our interest or grab our attention fast, we move on very quickly. Without remorse, I might add - and rarely inclined to look back. This means, the most important thing to us about a book is its cover – it’s usually the first thing anyone sees of a book. Without an eye catching cover, we’re going to glide right on by. We’re not even going to pause to take a sniff. The book might be the most amazing story on the face of the earth, but we’re not going to even read the blurb to discover that if we don’t find the cover appealing. Superficial? Hmmmm … yes, maybe. But you need to understand Gen Y's have grown up with information overload. We have so many choices available to us we can be that selective. Don’t get me wrong, Gen Y’s also expect substance. We don’t want just a nice book cover - we expect a fabulous book too. But we won’t discover that wonderful book unless the cover draws us in first. Now, suppose a book draws our attention and we are enticed to buy it. But within a few pages or chapters, we discover we don’t like it, chances are high that we won’t even finish the book. And there’s an almost zero chance we’ll pick up a book by that author again. A highly trusted friend highly recommends the book. I’ll need an explanation though – I need to know what it is about this book that’s so unmissable that it’s worth me getting past the bad cover. And if I proceed on the recommendation, I will do so dubiously because, to me the book just don’t look that great. I already know and love the author’s work. After that point, their cover pretty much becomes irrelevant to me. It’s all about first impressions. If you can get noticed and look attractive, then we’re more likely to read the book. After that, if we have the added bonus of falling in love with the book, we’re doubly impressed. Ok, so hopefully that deals with the why of Gen Y’s judgement by book cover. And hopefully you don’t judge us too harshly on what at first looks like a shallow motive. Then again, if you do – we aren’t really going to care. What does a Gen Y look for? I can’t answer for all, as even Gen Y’s have individual tastes. And what is appealing will of course vary depending on the genre. For a start, I’ll show you some examples in my favourite genre – historical fiction. 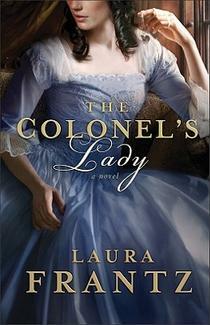 It’s no secret I saw the cover of Laura Frantz’s “The Colonel’s Lady” and decided it was a book I had to read. I’d never read anything by Laura before – in fact I’d never heard of her. But the cover was enough for me to take a chance. I was so pleased my gamble paid off as in it I found one of my favourite books of all time. And as a result of that, I will forever sing its praises! I know that Tamera Alexander is a popular author, but I'd never considered reading her books before simply because I didn't find the cover appealing. That's changed for me since the release of her latest book, "A Lasting Impression". Compare this cover with that of an older release, "Within My Heart". Now I realise the setting for these books must be quite different, but "A Lasting Impression" is fresh and has a distint romantic feel to it. I think the contrast between the white background and the blue dress is the main drawcard. "She Walks in Beauty" by Siri Mitchell is Jess' fav. I agree, it's a gorgeous cover. But not only that - the title is to die for! I love "The Director's Cut" because it's so striking. It looks sophisticated, and I just love that dash of hot pink on the dark background. We live in a world of high definition - on our TVs, computers, phones etc ... so we expect vibrancy, vividity and colour from our book covers as well. For credibility, we expect covers to look professional with colour, glossy images and up-to-date design principles. We can spot an outdated font a mile away and to us it just screams "has-been". Which means it's probably important to freshen up book covers on new editions. What are some book covers that you like? G'day Helen! ;-) Yeah, I'm totally with you on the cover. If I don't know anything about the author or book but love the cover, I'm likely to put it on a wishlist and watch for sales and book reviews. :-) The book cover is SOOO important, which is a big reason why self-publishing does not appeal to me. Some self-pubbed books have good covers, but most do not. There have been many times I've picked up a book from the shelf when I couldn't see the cover and from the moment I saw the cover I put the book back on the shelf. There was no turning the book over. I was done with it. It sounds harsh, I know but that's how great a book cover needs to be. Yes I might truly miss out on an amazing book, but the cover has to speak to me. Gorgeous covers, every one of them! They'd make you feel happy just to have them in your house. That's what we all need. I'd like to share this post, as I write with Gen Y in mind and appreciate having all this put in words to give us a path to follow. Oh, so love this post!! I love this peek into the Gen Y mind and think everything you've said is so true! Shallow as it seems, people do judge a book by its cover even if they nothing about the story or author. I certainly pick them up based on the cover alone many times. So thrilled the cover for TCL brought us together, Helen. I'll always be so thankful for that, my sweet friend! Gwen - Love your Aussie accent!! :D I often put books on my wish list and wait for specials too. And yes ... quite often covers on self published books look like they've been done up on Publisher on a home computer ... and a Gen Y just can't take that seriously. I think it's like comparing computer generated movies like Pixar to the older hand drawn cartoons. No matter how clever those hand drawn cartoons were, we're now used to those striking colours and amazing quality and that's what we want. Laura - yes! I'm glad too that the beautiful cover of The Colonel's Lady not only brought me to your beautiful writing, but also to your lovely self :) I am so eager to see your next book cover, with a title like Love's Reckoning I am imagining it will be very striking! But what did you think of the books themselves? There is one you have pictured above that I have read and, ahem, thought was quite over-rated. 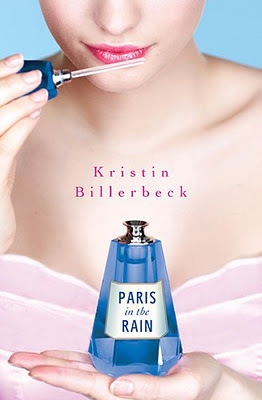 Beautiful cover, but I just couldn't like the heroine. But yes, it happens sometimes that the cover is gorgeous but the book not so much :) Just as it may happen that a cover is less than appealing, but the book fabulous! Thanks for visiting Meredith! By the way I like the cover for "Mellington Hall" - I think that's your best yet. It's bold and a little sinister, and it's obvious that there's murder and intrigue in the story. Thank you, Helen. I have a Gen-Y son who is an avid reader. When I had my debut novel African Hearts published, he said make sure the cover is outstanding or no one will read it. Thanks so much for this great tip and backing up what my son said. It has prompted me to be careful on my next release. Laura, your son speaks like a true Gen-Y :) I think designing covers is such a tricky job, I take my hat off to all those artists out there. 'Thorn in my Heart' by Liz Curtis HIgs. The book cover drew me in instantly and I was sitting in a Subway....waiting for hubby to bring our order. As I read the very first page I was spellbound. I devoured that book. There is a lot in what you say about covers. I have been disappointed in the story itself many times. When you've read for years & years (being a baby boomer )...many romances....its takes something special that resonates with your own personality and outlook on life to really love it. And outstanding talent...but of course. I enjoyed my visit today, I have just read 'Unbroken' and found I could hardly put it down. Now am starting 'Flyboys'. Thank you Maggie Ann for dropping by! I've just realised Laura has posted about this article on her blog - so sweet of her! Liz's covers are some of my favorites too. All her Scottish historicals so far have been gorgeous. I always feel ripped off when there is a gorgeous cover and the book is poorly written. It is kind of like having a fabulous wrapping on a gift and then you open it and inside is something unwanted, cheap, broken, or all three. I agree that I want a recommendation from a friend. But that does not always work out either!!! That's certainly true Carrie - very disappointing if the story isn't as good as the cover. 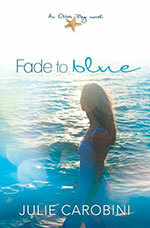 A Gen Y is likely never to trust that author again, no matter how beautiful the covers are! And I find too, since everyone's tastes and interests are different, friend's recommendations don't always work. Though I find over time you end up finding friends who's tastes are like yours and it's easier to trust their recommendation. Jess and I don't have the same tastes. Occasionally Jess reads a book, loved it, but then said to me, "You probably won't like it." Hi Helen. I found your blog through Laura Frantz, who is my crit partner. 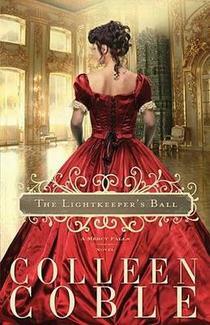 And I agree about The Colonel's Lady cover. It's my favorite of hers so far. Now I'm waiting less than patiently to see the cover for Love's Reckoning. 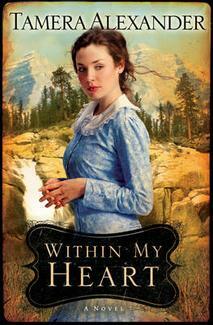 I just did a blog post about a few upcoming historicals that have caught my eye, one of them because of the cover. 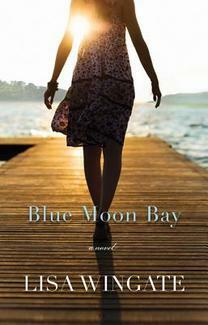 I've never read anything by CatherineRichmond, but the cover for Through Rushing Water had me at hello.